In today’s world, we have been facing global challenges like pollution explosion, resource depletion, changing climate, and demand for food and potable water forcing us to move forward toward sustainable development. Among these hurdles, especially shortage of fresh water across the globe has made us to look toward more efficient, lower-cost, robust technology to decontaminate and disinfect water from the source to the point-of-use. For this, membrane processes play a key role in water treatment technologies, due to their low energy consumption and involve no phase change. 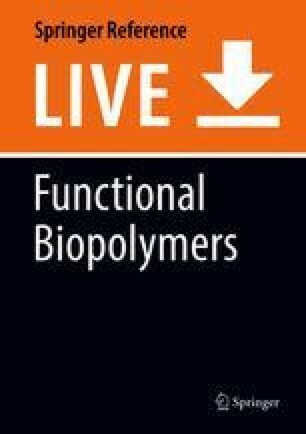 Compared to synthetic polymeric membranes, biopolymer-based membranes have drawn the attention of researchers due to its biocompatible, nontoxic, biodegradable, easily available, and environmentally friendly nature. The development of cellulose- and chitosan-based membrane put forward the new benchmark for desalination, heavy metal ion removal, dye rejection, wastewater treatment, drug delivery, wound healing, and other applications. Efforts are in progress to invest more and more time and research to make abundant use of these naturally occurring hydrophilic materials. These materials serve to be a cleaner substitute to the synthetic polymers that are currently in use and are dominating the market. This chapter gives a detailed overview of cellulose, chitosan, and their derivatives for membrane applications. Further, key scientific encounters are adopted on the path to industrially applicable membranes comprising these biopolymeric-based materials. The authors thank the Director, National Institute of Technology Karnataka, Surathkal, India for providing the facilities.